Everything we do at Arlington Orchards is built on having our family provide your family the best tasting apples and fruit possible. But to achieve this, we never compromise the environment which we've been blessed with that nurtures our orchards. To prove this, we have developed and refined a new mantra of growing practices to produce the Eco-Apple™. 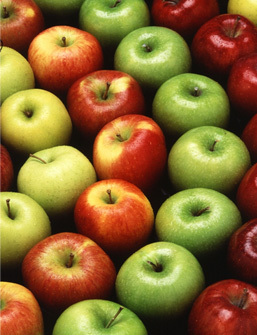 The Eco-Apple™ is not a single variety, but instead it represents all varieties of our applies. Since 2000, we have been a leader in the Eco-Fruit Movement. This is a strict protocol designed towards maintaining our orchards through a natural pest control and protecting our predator insects and native bee population. We work in conjunction with the PEI Horticultural Association for on-going development of grower protocols and strict integrated pest management. It's all about creating a balance within our orchards based on science and experience. We literally monitor the insects in our orchards, and through bio-control, we work to protect the insects that are predators to insects that are harmful to our apples. Much time is also spent pruning and hand thinning our trees for better light and air circulation, thus reducing disease and pest pressure. We also believe in full transparency, and we only consider using a controlled pesticide where the natural bio-control is lagging. Should this happen, we only use materials that is specific the pest and does no harm to our beneficial insects in our orchard. And we specifically take every single measure and protocol to protect our natural bee population. 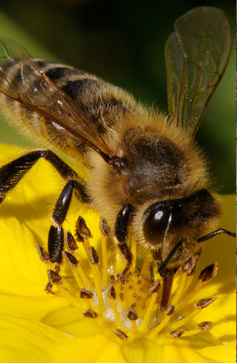 Put simply, we love our bees and we work tirelessly to keep them safe. For example, we leave dandelions in the orchard as opposed to the previous practice of cutting them down because we want to build up the native bees. We want them foraging in the orchards. We also cultivate tree lines surrounding the orchards to help create better natural habitats for our native bees. Unlike other fruit growing areas that bring honeybees into their orchard for about two weeks, we farm "Bee Safe" 365 days a year. But what does it mean to us to be home to Eco-Apples™? It means that your family can visit our orchards, take in the natural beauty of our land, look for bees buzzing around, see first hand on our trees how we monitor insects, and then-- pick an apple right off the tree and enjoy. Yes, Mom-- our apples are very safe. For more information on our Eco-Apples™, please feel free to contact us to learn more.